This blog apparently mostly features food that I hadn’t realised I liked until a certain moment in time, and this is another one. I’ve actually been cooking up a storm today, so I’ve got loads to share. I’ll spread it all out over the next few days, however. I’ve never had a mac & cheese recipe that did anything for me – the appeal of baked cheese and pasta was just not all that great. That is, however, until I made this version of mac & cheese. I was determined to make a decent mac & cheese so I did some research (aka. Google search) and finally read about one recipe on Smitten Kitchen that guaranteed to be the greatest mac & cheese recipe ever. Figured I’d try it out and oh boy. Was not at all disappointed. The original recipe serves 12 (!!! ), I halved it and there’s still quite a lot leftover having fed four hungry people. So pretty true to portion size! 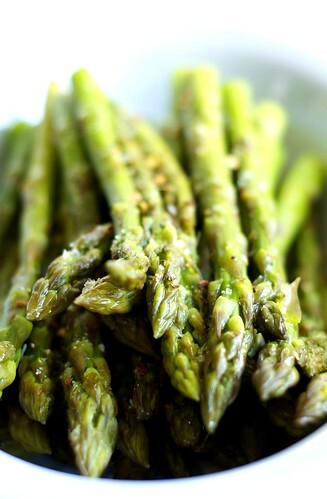 I served it as a side dish with mushroom meatloaf (which did not photograph well at ALL so shall not be sharing) and some beautiful steamed asparagus, drizzled with basil olive oil, sea salt and cracked black pepper & chilli flakes. Anyway, try it out, see what you think and drop me a comment or two! 1. Preheat oven to 190°C. Butter a large casserole dish; set aside. 2. Place the bread in a medium bowl. In a small saucepan over medium heat, melt a quarter of the butter. Pour the melted butter into the bowl with the bread, and toss. Set the breadcrumbs aside. 3. Warm the milk in a medium saucepan over medium heat. Melt the remaining butter in a large saucepan over medium heat. When the butter bubbles, add the flour. Cook, stirring, 1 minute. 4. While whisking, slowly pour in the hot milk a little at a time to keep mixture smooth. Continue cooking, whisking constantly, until the mixture bubbles and becomes thick, 8 to 12 minutes. 5. Remove the pan from the heat. Stir in salt, nutmeg, black pepper, cayenne pepper, 3/4 of the cheddar cheese, and 3/4 of the Gruyère; set the cheese sauce aside. 6. Cover a large pot of salted water, and bring to a boil. Cook the macaroni until the outside of pasta is cooked and the inside is underdone, 2 to 3 minutes. Transfer the macaroni to a colander, rinse under cold running water, and drain well. Stir the macaroni into the reserved cheese sauce. 7. Pour the mixture into the prepared dish. 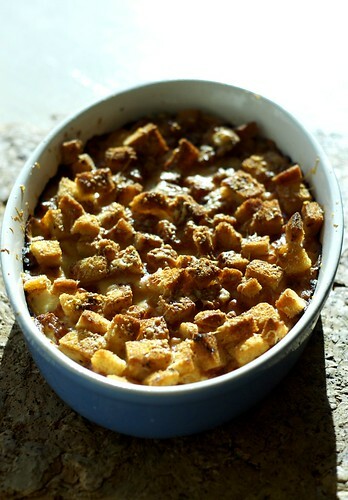 Sprinkle the remaining cheddar cheese, then breadcrumbs, then Gruyère over the top. Bake until golden brown, about 30 minutes. 8. Let cool for five minutes, serve and enjoy the cheesy goodness – thanks Martha. Hope you all enjoy it as much as my family and I did. It’s a good ‘un. Big thanks to Deb at Smitten Kitchen for turning me onto it and, of course, to Martha herself. Until next time, peace and love. 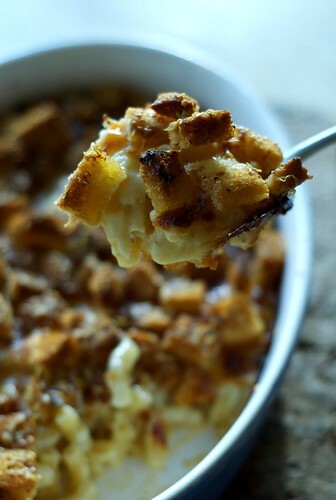 Martha Stewart never lets me down…this looks so warm and cheesy…delicious.